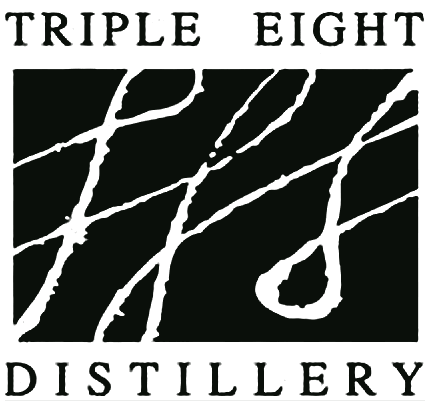 Triple Eight Distillery is actually a sister company of both Cisco Brewers and Nantucket Vineyard. Nantucket Winery came first in 1981, Cisco Brewers followed in 1995. They installed their first still in 1997. All three appear to operate out of the same facility, acting as a kind of collective started by Dean and Melissa Long. They ran the winery operation, adding products to their shelve over time. Triple Eight (and its sisters) sit on Nantucket Island, which lays about 14 miles off the coast of Massachusetts. With a total population of about ten thousand people, tourists comprised the bulk of their market in the early days. On the distilling side they produce thirteen different distilled spirits including a single malt Whiskey, Bourbon, Rum, Gin, five flavored Vodkas, and four specialty liqueurs. Nantucket Island is small, but its climate is similar to southern Ireland, making for suitable conditions for Whiskey production. Man: The story of Triple Eight Distillery is intertwined with the historic setting where it's produced, Nantucket Island. In 1981 Dean and Melissa Long founded Nantucket Vineyard. After producing wine for 15 years, Dean gave his apprentice, Randy Hudson, the chance to make a Beer in the little shed out back. And so began Cisco Brewers. In July of 1995, Randy and his wife Wendy, sold their first bottle of Whale's Tale Pale Ale. In the spring of '96, the brewery adopted Jay Harmon. With a lot of muscle and good Yankee ingenuity, Cisco Brewers has grown into a world renowned brewery. In December of 2000, Triple Eight distillery was granted a license to distill spirits by the commonwealth of Massachusetts. The trilogy was complete. The distillery began by selling futures in single malt Whiskey barrels. Notch, not quite Scotch from Nantucket. The sale of these Whiskey futures helped fund the launch of Triple Eight Vodka. As the Whiskey aged, Triple Eight Vodka hit store shelves. Produced with organic corn, Triple Eight Vodka is exceptionally smooth, with a subtle sweetness parted by natural corn sugars. Dean: Well first of all you take the 190 proof neutral grain spirits made out of organic corn, and you blend it with water, and it has to be done just right so it doesn't go cloudy. Man: The true secret of the distillery lies below the surface. The natural aquifer below Nantucket its the perfect source for exceptionally clean, and pure water. Ideal for distilling. This water is drawn from well number 888. Beverage Retailer recently named Triple Eight Vodka one of the world's 12 most promising Vodkas. And in Triple Eight's first entry in the world spirit championships, the beverage tasting institute ranked Triple Eight higher than Kettle One, and many other mainstream brands. With the help of Matt Lambo and his 1975 Volkswagon camper bus, Triple Eight is on track to be the world's number one super premium Vodka.